Fitness doesn’t have to be boring. Your workout can be fun, challenging, inspiring, and unique. If you are sick of running on a stationary machine, lifting weights until you get bored, struggling to stay motivated, and not seeing the results you want, you may need to try something else. And we know just the thing. LES MILLS™ classes are unlike any fitness class you have ever been a part of. These classes are designed to offer energetic aerobic and strength workouts that get people excited about their fitness. The Les Mills gym was started by Les Mills Snr, a four-time Olympian. From there, the LES MILLS workouts began and have grown in popularity. These workout classes are licensed by thousands of partners and used in gyms around the world. One of those gyms is BodyPlex Fitness. At BodyPlex, we offer many different fitness classes, making your goal easier to achieve and keeping you motivated. LES MILLS provides its partners with new workouts for these classes every three months, meaning you will never get bored with classes that are always the same. Along with the LES MILLS classes, we also offer SilverSneakers® and Zumba classes, giving you several options and allowing you to find the class that best fits your fitness level. The LES MILLS classes are all different and offer different intensity levels. Some are moderate to high while other are low. Your fitness level, energy level, and health may determine which intensity level you prefer for the day. If you are looking for a class that is low to moderate intensity there are a few options for you. One of those classes is the BODYBALANCE/ BODYFLOW class. This class is 55 minutes long, and is designed after yoga, tai chi, and pilates workouts. It is a slower pace but still challenging and the only equipment needed is a yoga mat, but it is optional. If you love your yoga classes and other workout routines like this, this LES MILLS class is perfect for you! BODYFLOW can help enhance mental wellbeing, improve joint flexibility, tone muscles, and help with range of motion. This is a good class to get into if you are new in the fitness world and want something that challenges but doesn’t destroy you. BODYVIVE has a low to moderate intensity level. This class is a low impact, full body workout and includes cardio, balance, core work, and mobility resistance. This full body workout will have you feeling the burn but the 55 minute class can be modified to fit your fitness level. This class requires a resistance tube and ball and leave you feeling energized! BODYVIVE can help to improve your heart and lung health, tone and shape muscles, increases energy levels, and can reduce stress. This fun and challenging class is the perfect class for those looking for more of a challenge. If you are feeling like you can take on a more challenging class, there are a few with a moderate intensity level that are fun and will keep you active. BODYJAM and SH’BAm are both moderate level classes that are inspired by dance. If you are a fan of those fun and energizing dance classes, these are the classes for you! The difference is the BODYJAM is 10 minutes longer than SH’BAM, at 55 minutes. Both of these dance classes are full of cardio and will have you dancing like nobody’s watching! These classes can help you burn calories, tone and shape muscles, improve coordination, and develop self expression. Feel confident and hyped after these entertaining dance classes! Push yourself a little harder and try out one of the moderate to high intensity classes. These include BODYPUMP, RPM, BODYSTEP, and CXWORX. BODYPUMP is a weight based class that incorporates resistance training. This 60 minute class will help you gain strength and push yourself to new limits. Barbells, plates, and adjustable steps are used in this class to give you a tough workout. BODYPUMP can help to improve strength and endurance, tone your muscles, and maintain bone health. RPM is a cycling class the works on cardio and interval training. This 45 minute class will have you working hard and pushing yourself, helping you see results faster. 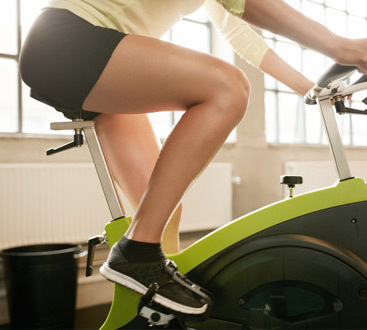 Biking classes are not everyone’s cup of tea, but others live off of these cycling workouts. RPM will improve your heart and lung health and increase your strength and endurance. BODYSTEP is a step-based cardio class that will have you breaking a sweat in no time. This class requires an adjustable step and is a great class for everybody. While a stepping class may not seem challenging, your heart will be pumping and calories will be burning during this 55 minute class. This class can improve the health of your heart and lungs, improve your agility, coordination, strength, and endurance. CXWORX is a class the focuses on core strength. A strong core can help you with other workouts and help keep you fit. This 30 minute class is challenging and will help you build and maintain a better core. This class requires a resistance tube and will help to tighten and tone core muscles, improve strength for balance, and help prevent injuries. If you are looking for a high intensity workout that is going to make you sweat harder than ever before, BODYCOMBAT and BODYATTACK are the classes for you. Their names say it all! These classes are tough and will have you feeling sore the next day. BODYCOMBAT is a martial arts inspired cardio class that will work on your strength and endurance. This 55 minute class will help you to tone and shape your muscles, improve your strength, and build self-confidence. BODYATTACK is a cardio class inspired by sports. This is a fast-paced and challenging workouts that will have you working harder than ever before. You can improve your agility, coordination, endurance, strength, and your heart and lung health with this class. These classes are all challenging and will have you breaking a sweat, so don’t go into these classes thinking you will be able to slack off. The LES MILLS classes will help you reach your fitness goals and have you seeing results faster than other workouts. 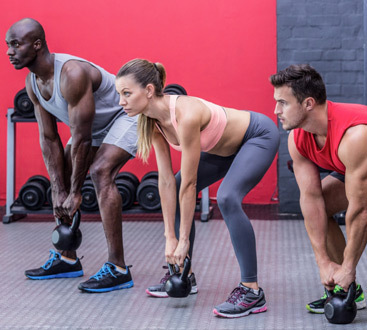 Depending on your level of fitness, some of these classes may be a better choice than others, but you can always work you way up to the tougher classes. You can see a full class comparison to help you decide which class is the best option for you. The best part about fitness, is that once you start, there is nowhere to go but up. You can improve your fitness level, begin seeing results, and work your way up to the most challenging classes, all you have to do is start. Start at BodyPlex Fitness. Not only do we offer these world famous fitness classes, but we also offer a staff that will help you with your goals. If fitness classes are not for you, our fully equipped gym may be a better options. Use machines, weights, and the knowledge and assistance from our team to get started working towards your fitness goal. At BodyPlex Fitness, our members matter. We will help you and push you to reach your goals. Start a membership today and begin working towards a new you!